Nintendo has added $7 billion in value to its company since its popular Pokémon Go app sprung into the hands of the public. Inspired by the Pokémon trading cards that many youngsters have enjoyed for decades, this app allows anyone with a smartphone to become a Pokémon Trainer and search for these critters in real life, around the house, at their job, and anywhere they walk around. There are pre-selected buildings, shops, churches, and works of art that are labeled “PokéStops.” Trainers are drawn to PokéStops because they can collect valuable items at each of them, and the PokéStops can also be used to attract Pokémon. So how can a local business get in on the action and even profit from this trending app? If a shop or restaurant is in the location of a PokéStop, then it is in luck. Without the business owner doing anything, Trainers will naturally be drawn to that location so they can retrieve the goodies from the PokéStop. But if the business owner wants to go the extra mile to attract more customers, he or she can use a “Lure.” A “Lure” module is an item that anyone playing Pokémon Go can purchase at the “Shop,” or sometimes receive for free, in the app. It can be applied to PokéStops to attract Pokémon to that location, thus attracting Trainers as well. These modules are only effective for 30 minutes, which is the perfect amount of time for potential customers to have a meal or explore a store. When a “Lure” is set on a PokéStop, the Stop will light up with pink confetti, letting Pokémon fanatics know it’s time to visit that shop or restaurant. 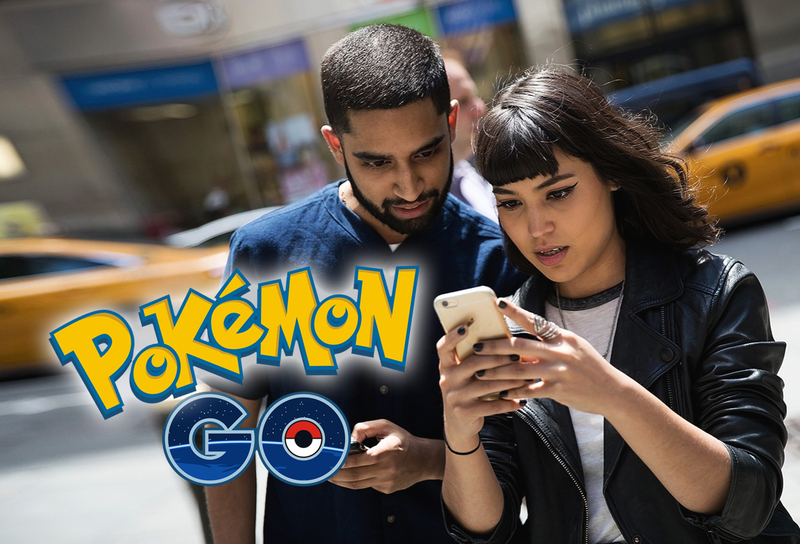 You may be thinking, “Now I have to play the game, myself?” Chances are that if you want to market to customers by using Pokémon Go, you or one of your employees will have to understand at least the basics of the game. The more PokéStops that Trainers visit, the more likely they will receive a free “Lure.” But if you don’t want to spend a lot of time playing the game, a “Lure” can be bought for $ 0.99 or less, depending on how many you purchase. For L’inizio Pizza Bar in New York City, the effects of these “Lures” have already worked tremendously. In one weekend, the business owner spent just $10 on “Lure” modules and reported that sales increased by 75%. Simply applying the “Lure” will significantly increase the amount of potential customers visiting participating businesses. But to ensure that you get the best results, make announcements about your use of the “Lures.” Spread the news on your social media pages, put a sign out in front of your business, and create special promotions or Happy Hours that are designated times for using the “Lures.” You can also offer discounts to those Trainers who can prove that they are at a certain level in the game or on a specific team. So use this new trend to help your business succeed. Whether it be new customers or Pokémon, you gotta’ catch ‘em all!